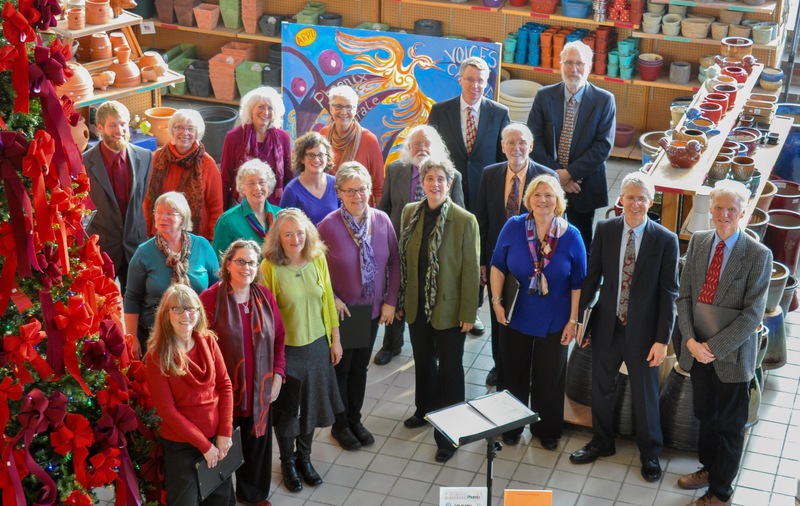 Members of the chorale come from many backgrounds. We welcome all ranges of talent, from professional to shower singers. What we all have in common is a love of singing, a desire to make the world a better place, and a willingness to commit to a weekly practice schedule. 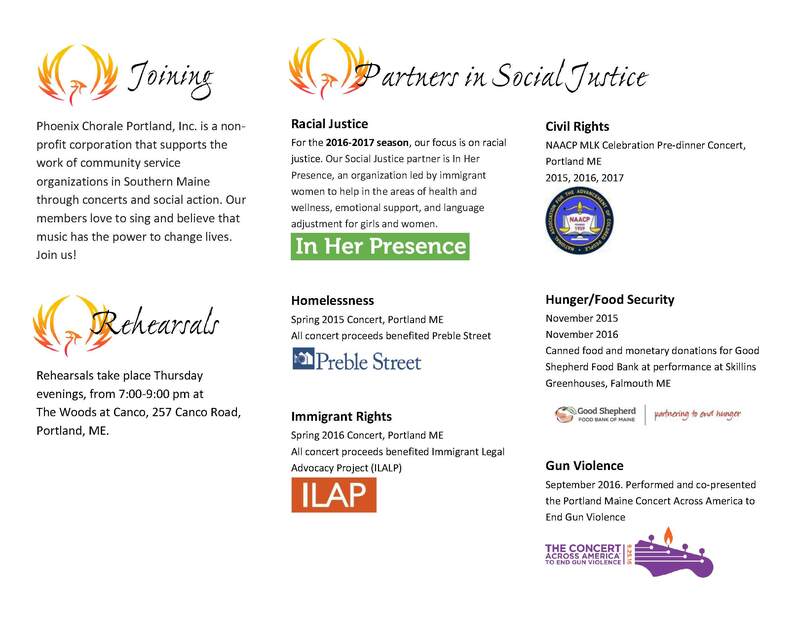 If you love to sing, and can carry a tune, we would love to have you. Knowing how to read music is not absolutely necessary, though it does help if you know at least the rudiments. 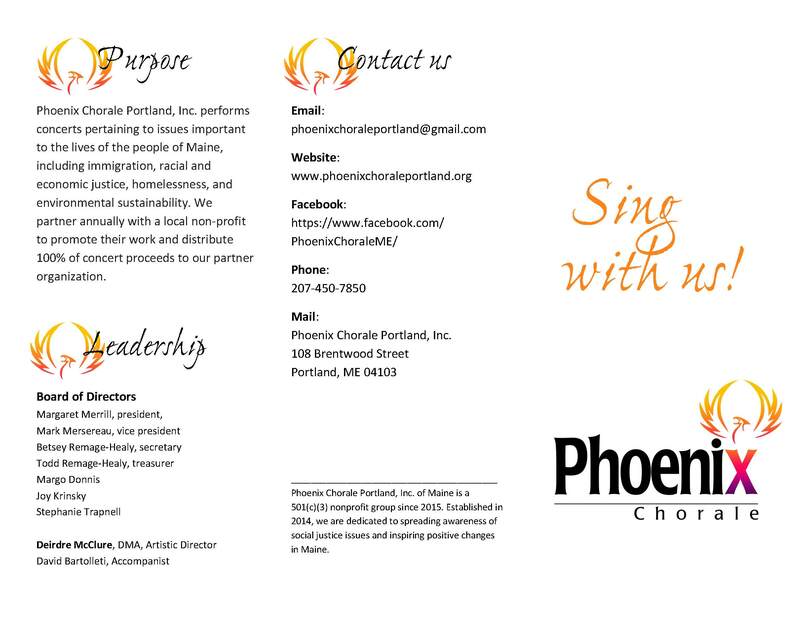 See our Sing with us page to find out how to become part of the Phoenix Chorale. Click here to read about our artistic director, Deirdre McClure, DMA.